Although according to some survey soccer was the most popular sport around the globe. I wouldn’t contest that but for Filipino people they rather shoot the ball than to kick it. Indeed basketball was the most famous and well played sport in the country, if only basketball was not created by a foreigner maybe they will consider adopting it as their national sport. Their passion for the game was phenomenal as it is shown basketball courts can be find everywhere, on streets, backyard, garage, on a tree, and even on little place that they can hang the hoop. Low economy doesn’t affect the fanatics from playing and they can even play with just their bare feet, that’s was enthusiast they are for the game of basketball. In this country maturation from amateur to pro is done just like what they do in USA. After graduating from college they can include themselves into draft to get picked, if not that lucky they can first go to a developmental league to hasten their skills and wait to be noticed. There is only one organization that is responsible for the developmental league and the pro league this is none other than Philippine Basketball Association (PBA). This organization was the oldest professional basketball league in Asia and second in the world after NBA. It was started in 1975 and its regulations are a hybrid rules from International Basketball Federation (FIBA) and the National Basketball Association (NBA). It was compose of 9 pioneer company banded franchised teams and not based on geographic locale which means that they don’t have the home court and the league just rent a basketball stadium to occupy during the games. There are some league that tried to compete with PBA such as the Metropolitan Basketball Association (MBA) where they set a completely new rules and format they even allow foreign nationals to play in their league. Natives supported this league since they love basketball but the success lasted for only five years due to lack of financial funding. 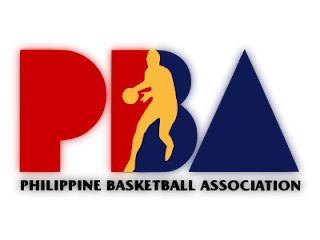 PBA was now on its 37th season and still going strong, a typical Filipino household would not be complete without watching their favorite PBA team playing. · Petron Blaze Boosters (San Miguel Beermen) – 19 championships. · Alaska Aces – 13 championships. · Bmeg Llamados (Purefoods Tj Hotdogs) – 8 championships. · Ginebra Kings – 8 championships. · Talk ‘N Text Tropang Texters – 5 championships. How Much Do Filipino Players Gets? The profit of a pro basketball player in Philippines is luxurious enough than other professions. According to the new salary cap that was approved by the PBA boards the new salary cap was increased to 42 million a year, which means that a star players can get as high as 420,000 pesos a month depending on their performance which is equivalent to almost 10grand in US money. Although not as high as what Kobe gets, but still to earn 10 g’s a month is a lot. It’s more fun playing basketball in the Philippines. Do you know any international league aside from PBA? Share your inputs by hitting the comment box below.